PL_Angkor is a 3 stages payload map (goldrush like) with some CP in stage 2 and 3 to allow the cart to continue moving on its path. They'll need to bring their explosive-filled cart from their plane, to the temple entrance up to the top of the temple and drop it into the sacrifice pit ! Throw this up on a gameday? Those screens have me itching to give it a try! 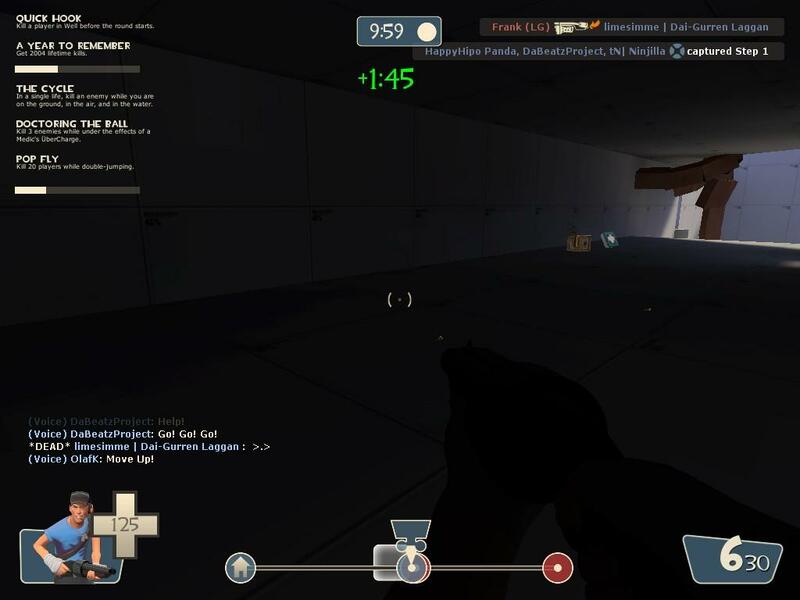 My TF2 in Angkor, Wat? Don't hurt me. It had to be said. It looks amazing! I love the style. A few detailing problems I can see though, like the tracks squashed up a bit going up the hill. Also you may want to look at the corners of buildings and align the textures so you don't get those L shaped bricks. Also perhaps a few more roots. But for an Alpha it looks all kinds of amaze! Yeah, it lacks some details adding some contrast and color ... I've planned to add more vegetation on walls/ground (moss, more tree roots, etc...) and some colored props (plane seats here and there that had fallen during the crash for example, some strange statues perhaps painted by REDs, etc...). Anyway, I added some screens of stage B and C (just to have a look at the CP thing and the general idea for these areas), and also added the map for tomorrow gameday. Looks like you're off to a promising start on the theme. I can give you the few custom assets I have if you need, but they're not final, quite specific, and there's nearly nothing actually ... (just 3-4 not so good textures and some tree models). For the stone blocks size in stage A, you're right. But I like the feeling of being small in a huge temple, so I'll try to keep them kind of big (and I like to have some big holes in walls with just 2 or 3 blocks removed). I'll see what I can do about this. Thanks for the feedbacks ! Thanks a lot for the playtest anyway ! Well, I think it may help to split up the map in stages to be tested individually and focus on one at a time, though that is your call to make. 30 minutes doesn't leave a lot of time to play the map several times and scramble teams if necessary. Out of all stages, I rather liked stage 3, the final uphill push being pretty memorable (at least it was when we were attacking because we struggled a good bit there, after teamswitch it was more or less a steamroll ). Yeah I think the stages were pretty big in comparison to Goldrush. Some areas were just massive; the area around the final point comes to mind. There were some great memorable areas, though. The first and last stages in particular. Work on bringing the scale down a little. As for your position on lighting; gameplay takes priority over theme, hands down. There's numerous dark areas in the map that are almost unplayable. 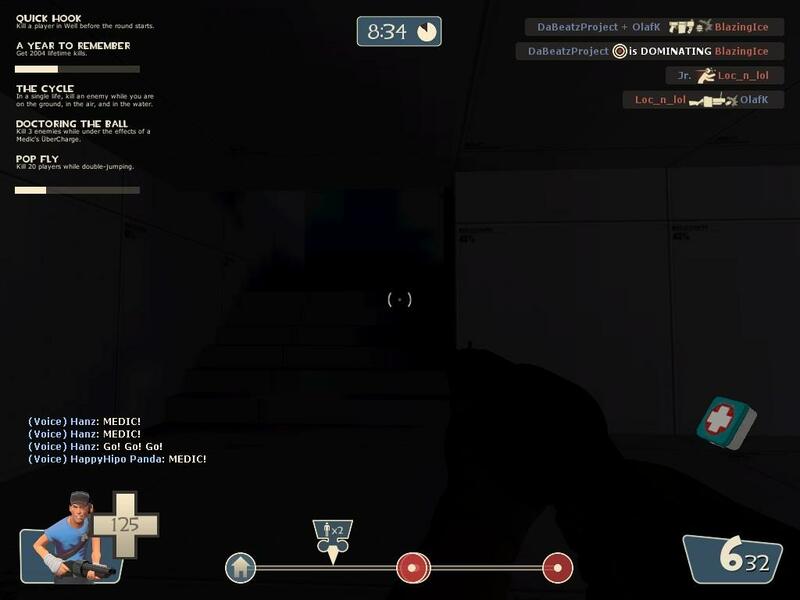 TF2 is all about visual priority and gameplay readability. Add lights, it will make the map so, so much better. Besides, if Red really is set up in the temple, they would have erected some lights and equipment. The fog colour didn't really match the sky colour from what I remember. The fog was green and the sky blue. I agree with Loc_n_lol, you should focus on each stage individually in testing to really refine them. Overall I think the map is really promising, though. Thanks for the feedbacks guys, I'll try to fix these issues (path not always clear when setting up the defense as red, mostly the door in stage B, fog color, size, lighting, etC...). I think gastrop is dead right, some builders floodlights or something would be put up in the dark areas by red, i mean messing with destruction of the building will probably do/look just as well but you could maybe do something visually interesting with artificial lights.